Never to be forgotten West Ham magic moments from that most iconic stadium of them all. I watched the FA Cup Final on Saturday with my six-year old grandson, a mad keen Arsenal fan like his dad, my son-in-law. The joy on his face when Arsenal took an early lead, the look of despair when Chelsea equalised, and then the sheer jubilation when Ramsey headed the winner shortly afterwards, and the excitement at full time, brought back memories of my own childhood, when the FA Cup Final was a really special event. It still is to some extent, but doesn’t have quite the glamour of yesteryear. The first FA Cup final that I remember clearly was when I was six (Wolves v Blackburn in 1960), but I had to wait until I was ten to see West Ham there. I watched the game with my dad on our black and white TV. We played Preston, who were then a second division side, and were expected to beat them easily, at least I thought so. But we had to come from behind twice, first when John Sissons at 18 became the youngest player to score in a final, then a Geoff Hurst header which hit the underside of the bar and barely crossed the line (shades of things to come!) made it 2-2, and finally Ronnie Boyce popped up to head home the winner right at the end. For my next Wembley memory I only had to wait a further year. I was in the crowd of 100,000 high up behind the goal where Alan Sealey scored twice in the second half to enable us to win the European Cup Winners Cup. What a fantastic never to be forgotten night for an 11 year old. It was my first experience of actually being at Wembley, and the noise was unbelievable. In September of 1965 I was back at Wembley for the second time to see the World Speedway final. Bjorn Knuttsson was captain of West Ham speedway team, another of my passions as a boy, and duly won the title, winning four of his five rides. Then just a year later it was back to the TV to watch England win the World Cup. Many will say that wasn’t strictly West Ham, but to us fans, we know better. The legendary Bobby Moore was captain, and provided the assists for two of the goals, Martin Peters scored one goal (Geoff Hurst provided the assist), and everybody of course knows that Sir Geoff bagged a hat-trick. Yes of course there were 8 other players doing their bit, but West Ham players scored all four goals and provided three of the assists in the final. Move on one year and in 1967 the League Cup Final was to be played at Wembley for the first time; previously it was a two-legged affair. I was hopeful for West Ham involvement yet again, but we were knocked out in the semi-final by West Brom. 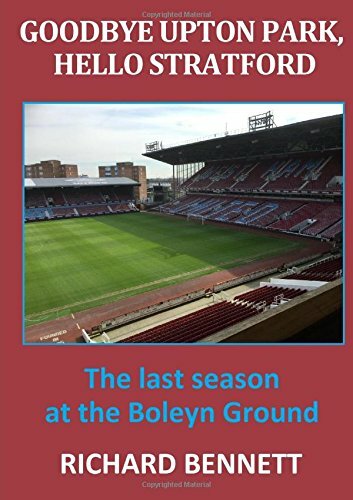 I had to wait until 1975 for my next West Ham visit to the national football stadium, although by then I had seen several England international games. It was first v second division again; this time we faced Fulham, with the added bonus of seeing Bobby Moore, our old hero nearing the end of his career, lining up against us. The game was an unremarkable one for the neutral, but we won 2-0 with Alan Taylor scoring twice, as he did in the quarter-final and semi-final. In 1980 we were back again, and this time I had a seat, although I don’t think I used it to sit on. It was first v second division for the third time, but this time we were the lower ranked team, and not expected to beat Arsenal, who were in the final for the third year running. But Trevor Brooking’s famous diving header won the game, and once again my return journey up Wembley Way was a happy one. In March 1981 we were back yet again, this time to contest the League Cup final. We were still in the second division, but had probably the best second tier side of all time that season, and were runaway winners of the division to get back to the top flight. We faced the mighty Liverpool, and looked like we were going to lose the game when Liverpool scored a very late (blatantly offside) goal. But within a minute we were awarded a penalty and Ray Stewart stepped up to calmly equalise to take the game to a replay (no penalty shoot-outs in those days). We lost the replay 2-1 at Villa Park. We were involved in two further Play-Off finals and another FA Cup final in the early years of the 21st century, but these were all in Cardiff whilst Wembley Stadium was being redeveloped. We only won one of the three (against Preston in 2005), but should have beaten Liverpool in the classic 2006 FA Cup Final, only to be denied by that late Gerrard strike. My first visit to the redeveloped Wembley was to see the Play-Off final against Blackpool. It was a tense affair, after Tom Ince had equalised Carlton Cole’s early goal. But Ricardo Vaz Te became an instant hero when he netted the late winner, sparking great scenes behind that goal. I have great memories of West Ham playing at Wembley. We may not have been there as much as some of the top sides, but as fans we have the enviable record of never seeing our team beaten there in six games. Unless of course you were there in 1923 when we lost the very first Wembley FA Cup final to Bolton! No defeats and some great memories. Next Next post: Will The Transfer Predators Be Circling West Ham?